We are thrilled to introduce our Inaugural Fellows—artist Cullen Washington, Jr. and curator Larry Ossei-Mensah! Taking place in Athens from February 18 to March 31, 2019, this six-week residency module will not only activate our mission to support the arts and build international bridges, it will also provide an additional case study towards establishing our sustainable permanent model. • Both Visual Art Fellow and Curatorial Fellow will each be provided with live-work accommodations, weekly stipends, travel expenses, and a $1,000 Fellowship—allowing them to immerse and create. • ARCAthens’ focused and dynamic Outreach Program will provide our Fellows and the Athenian community the elective opportunity to connect through scheduled studio visits, institutional tours, and discussion groups. Additional outreach with the Athenian community will be cultivated through events and introductions. To start, on February 19, 2019, our Introductory Welcome Event will be held at ATOPOS cvc, a non-profit, cultural organization in Athens. • At the end of the program, the Fellows will participate in a panel discussion focusing on their work and experience. Cullen Washington, Jr. utilizes the grid to communicate humanity and interconnectedness. 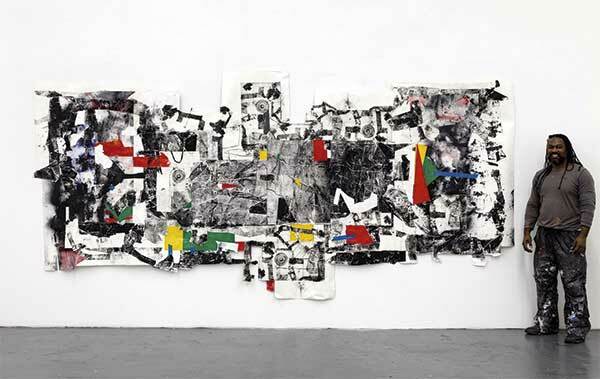 He describes his collage abstract paintings as non-representational fields of activity. Washington has shown nationally and internationally. Selected exhibitions include The Contemporary Arts Museum Houston, Saatchi Gallery London, The Studio Museum in Harlem, and the Academy of Arts and Letters, NY. Washington has been a resident at The Studio Museum in Harlem and the Skowhegan School of Painting and Sculpture. He is the recipient of a Joan Mitchell Foundation Award and in the collections of the Metropolitan Museum of Art, Studio Museum in Harlem, Charles Saatchi Gallery, Joyner/Giuffrida Collection, and the Alexandria Museum of Art, Louisiana. Washington will be a 2018 resident at The Joan Mitchell Foundation in New Orleans. Larry Ossei-Mensah, Susanne Feld Hilberry Senior Curator at Museum of Contemporary Art Detroit (MOCAD), is a Ghanaian-American curator and cultural critic who uses contemporary art and culture as a vehicle to redefine how we see ourselves and the world around us. He has documented contemporary art happenings profiling some of the most dynamic creatives and visual artists working today—Mickalene Thomas, Kehinde Wiley, Meschac Gaba, Swizz Beatz and JR to name a few. 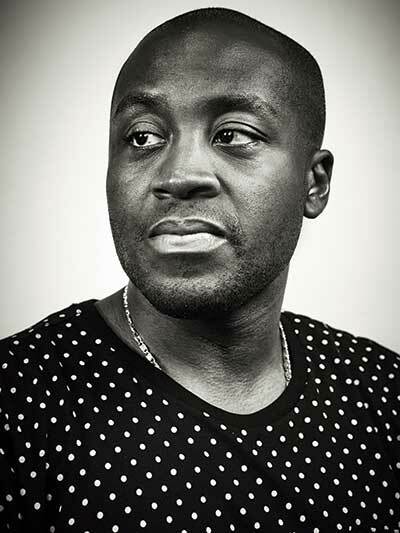 Ossei-Mensah cut his teeth in the marketing and advertising sector at Sony Music, ClearChannel, Fox TV, Carat Media, The World Economic Forum and Viacom. All of these experiences were the catalyst that informed his over-decade career as an independent curator before taking the helm as Senior Curator at MOCAD in Detroit in September 2018. As a curator, Ossei-Mensah has organized exhibitions and programs at commercial and nonprofit spaces around the globe from New York City to Rome, Italy—featuring a roster of critically acclaimed artists including Derrick Adams, Firelei Báez, ruby amanze, Hugo McCloud, Brendan Fernandes, Derek Fordjour, Peter Williams, as well as Allison Janae Hamilton’s work at MASS MoCA (co-curated with Susan Cross). Ossei-Mensah is a co-founder of the 501(c)(3) collective ARTNOIR. In 2017, he was the Critic-in-Residence at ART OMI in addition to serving as a member of MoMA’s Friends of Education and a mentor at the New Museum’s incubator program, NEW INC.